Nur 3 Etiketten von insgesamt 4 sind hier ausgestellt. Die anderen unterscheiden sich nur in Kleinigkeiten. Burns House Limited is the largest importer and distributor of beers, wines and spirits in The Bahamas, tracing it's roots to 1918. 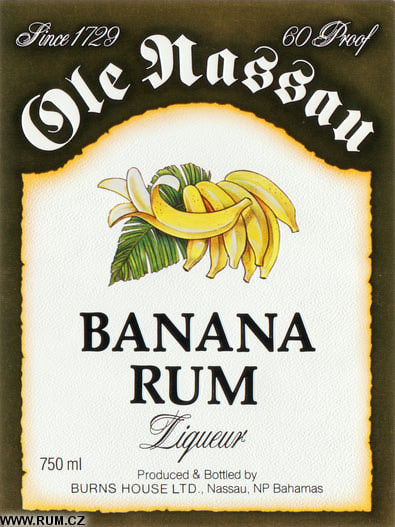 Burns House was incorporated in 1953, and in 1969, Burns House was sold to General Bahamian Companies Limited and acquired by Associated Bahamian Distillers and Brewers Limited (ABDAB) in 1981. Wholly-owned subsidiaries of Burns House are the Cellars Wineshop Limited, Thompson Brothers (Wines & Spirits) Limited and Robertson & Symonette's (Wine & Spirits) Limited. Headquarters are on John F. Kennedy Dr, Nassau. The principal office and warehouse including a retail outlet, consist of about 55,000 sq ft. Under the umbrella of Burns House, there are thirty eight outlets, under the names of Ole Nassau Duty Free Shops & Beverage Depots, strategically located to service consumers in New Providence, Grand Bahama, Abaco Eleuthera, Andros and Exuma. 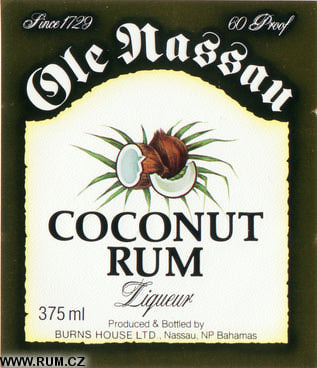 Ole Nassau Rums & Liqueurs - voted number one and five best tasting rum in their category by Caribbean Week Newspaper. 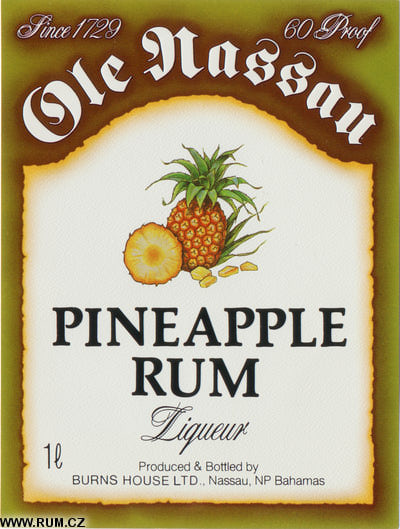 Formed in 1979, Associated Bahamian Distillers and Brewers Limited (ABDAB) is the holding company of what is now The Bahamas' third largest employer (after the Government and the Atlantis resort), controls over 50% of Bay Street (the economic centre of tourist Nassau) and is one of the largest publicly owned companies in The Bahamas. ABDAB's investments encompass a broad array of facets including Real Estate Investment, Advertising, Public Relations, Manufacturing, Distributing and the Retailing of many internationally known brands. Its international business partners have included Heineken and Bacardi. Back in 1979, ABDAB originally owned 100% of Burns House Limited (BHL), Bethell Robertson Limited (BRC) and 15% of Commonwealth Brewery Limited (CBL). The company held its initial public offering in 1985 after which ABDAB increased its share holding in CBL to 20%. After a number of share swapping and other arrangements ABDAB has ended up with 60% ownership in BHL and 47% of CBL, with Heineken retaining the remaining shares. In 2000, Butler & Sands, Wholesale Wines & Spirits, Todhunter-Mitchell Distilleries and Lucayan Ship Chandlers were acquired by BHL.